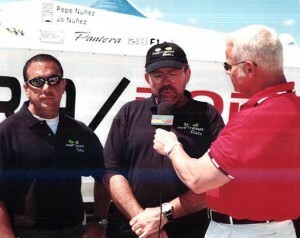 Following a vision set forth by his widely respected father—Pantera Boats founder Pepe Nuñez—Jo Nuñez blended decades of powerboat design, construction and racing experience with his love for motorsports competition such as motocross and NHRA Pro Stock drag racing to enrich brand recognition and carry on an esteemed family legacy. Sadly Jo, 44, passed away last week following complication with advance stage IV thymus cancer. The recent backbone of the company in Hialeah, Fla., that was established in 1974 by Pepe and Linda Nuñez, Jo is survived by his mother and father; his sister, Barbara; his wife, Yvette, and their son, Jo. Throughout his career Jo built dozens and dozens of boats from 24 to 41 feet, set endurance records, won world championships and, most importantly, established a huge group of friends thanks to his deep-rooted passion for boating. Even in Western New York, writer Jason Johnson spotted a couple of Pantera models during last weekend’s Buffalo Poker Run. Along with the outpouring of comments on OSO and other sites, I asked for comments from some of Jo’s local friends who were close with the entire Nuñez family, as many in this industry were. 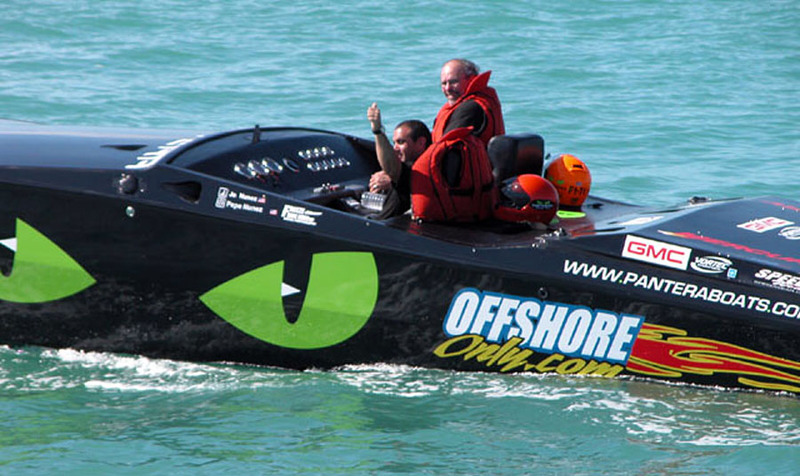 Larry Goldman, fellow offshore racer and owner of Xtreme Powerboats in Miami, said his first raceboat was a 28 Pantera that he purchased in 1987, which happened to be the first raceboat owned by longtime offshore racer Jeff Soffer. 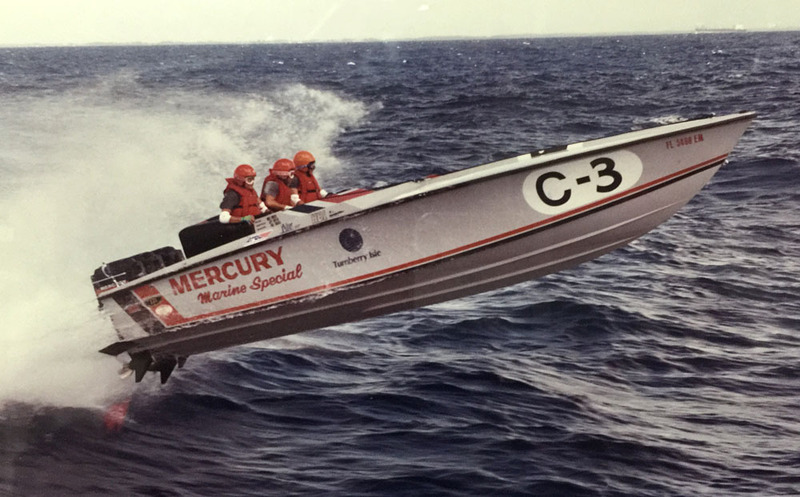 And, get this, when Goldman sold the triple-outboard-powered 28-footer a year later it was to rookie offshore racer Rick Merola, who is notable for owning/throttling the many Aqua-Mania catamarans, including the new 52-foot turbine-powered MTI. Tim Gallagher, MTI’s sales and marketing director, remembers the day he met Jo and, like Areces said, he will always remember his first ride with Jo. “Jo was like a brother—he’s the one who really taught me how to run an offshore boat,” said Gallagher, who bought a 1999 28-foot Pantera in 2002 that Jo took on trade to build the company’s first 36-footer. “Before I moved to Florida, I had been a boater in the Chesapeake Bay. We all think we’re hot rod boaters up there, but then you come down here and start running in the ocean, it’s a completely different program. Joey really showed me how to run a boat properly, how to fly it and not break it.